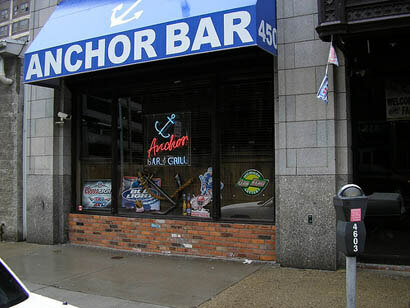 Detroit's famous Anchor Bar can be described as nothing other than legendary! There's nothing else quite like relaxing at this bar with a good stiff drink while watching one of the local games (Red Wings, Pistons, Tigers, Lions, take your pick!) on one of their seven huge HDTV sets. This is a family-owned establishment, and the quality really shows. The owners care so much about the patrons having a good time, and we always do! Be sure to check out their Facebook page for more information as well as the latest events and specials. The Anchor is open seven days a week until 2:30 AM.